Could This Be The Next High Profile Permian Takeover? Oil slumped again on Wednesday on a downbeat assessment from the IEA regarding the health of the oil market. After posting some relatively optimistic projections for the “rebalancing” process in recent months, the IEA has had to concede that the massive inventory overhang might last longer than it originally predicted. 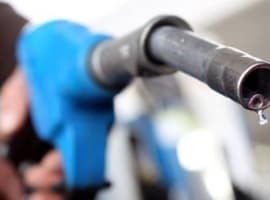 The report came in the same week that OPEC published its monthly Oil Market Report, in which it too admitted that the oil market was adjusting at a “slower pace” than expected. The IEA pointed to several different metrics that don’t bode well for higher prices. First, total OECD inventory levels “increased by more than the seasonal norm” in April. Crucially, inventories in the OECD have actually grown year-to-date, despite five months’ worth of OPEC cuts. As a result of rising U.S. shale production, weak gasoline demand, high levels of U.S. imports, and a drop off in exports, U.S. storage levels have climbed this year. Indeed, they are 292 million barrels above the five-year average and are actually higher than they were when OPEC originally agreed to cut output last November. Another metric that should worry oil bulls is the implied deficit between supply and demand. 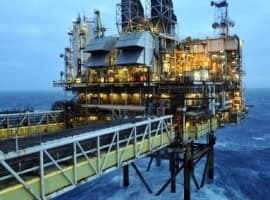 Last month, the IEA said that demand was outstripping supply by about 0.7 million barrels per day (mb/d), but in its June report, the agency cut that figure to 0.5 mb/d – a recognition that the oil market tightening is happening at a snail’s pace. The U.S. is expected to add 920,000 bpd this year, while also growing by another 780,000 bpd in 2018. Those are serious numbers; the U.S. alone is cancelling out somewhere around three-quarters of the OPEC cuts (or about half when including the additional cuts from non-OPEC countries). It is no wonder that the rapid comeback of U.S. shale forced OPEC to extend its cuts for another nine months. The outlook “for 2018 makes sobering reading for those producers looking to restrain supply,” the IEA said. OPEC is essentially backing out supply only to see the gap almost entirely replaced by non-OPEC sources. The end result could be a status quo in terms of the supply balance, but OPEC handing over market share to shale drillers and other non-OPEC producers. But another looming threat for oil prices is the fact that full compliance from OPEC is not guaranteed. Iraq has only logged a 55 percent compliance rate, a figure that could fall in the coming months as it potentially increases its production capacity. More importantly, Nigeria and Libya have stepped up output, restoring disrupted projects and promising to bring even more online in the remainder of 2017. On the demand side of the equation, there are also potential pitfalls for oil prices. Global consumption decelerated to 0.9 mb/d in the first quarter of 2017, the lowest total in ten quarters. Roughly 94 percent of the demand increase this year will come from non-OECD countries. But Chinese oil demand is showing some cracks, and India is still trying to shake off the economic disruption from its currency reform. The IEA believes a lot of these global weaknesses will be temporary, and it did not change its forecast for 1.3 mb/d for the full year. Ultimately, even as Saudi Arabia suggests that global oil inventories will come back towards average levels by the end of this year, the IEA says the end of the first quarter in 2018 is more likely. 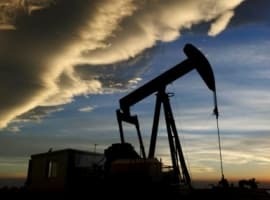 The IEA has repeatedly cautioned patience for oil analysts and producers anxious for a quicker rebalancing process. They are having to reemphasize that point once again. “‘Whatever it takes’ might be the mantra, but the current form of ‘whatever’ is not having as quick an impact as expected,” the IEA concluded. Is Big Oil’s Bet On Petrochemicals A Bust?